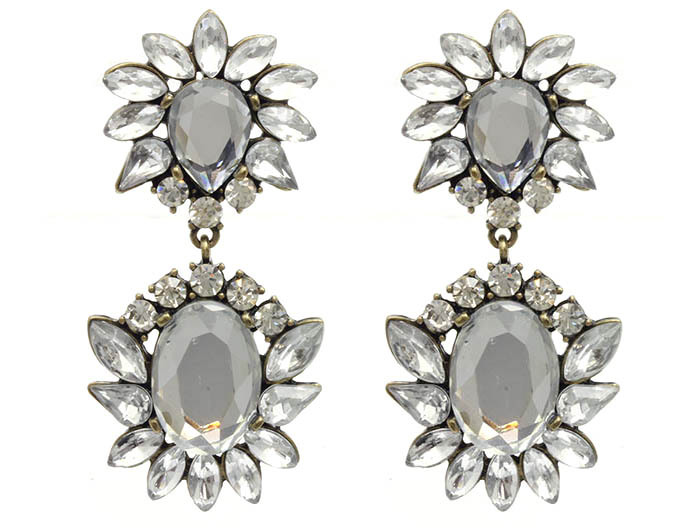 Pure radiance, the Madeline post earrings are ‘the’ crystal investment piece. Inspired by a Shourouk design, brilliant variegated crystals and faceted stones flourish in two drops of luminous clarity. The pair that you will never need, nor want, to take off.